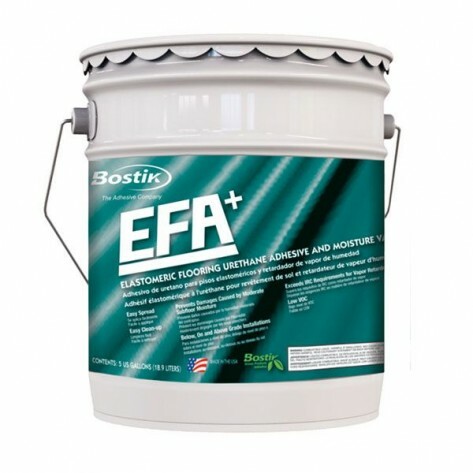 Bostik's EFA is a one-part, trowel applied, moisture cure urethane adhesive that does NOT contain water. Once cured, EFA is waterproof and is not adversely affected by exposure to moisture or water. EFA's elastomeric characteristics allow the adhesive to move with the wood as it expands and contracts over the life of the floor. The buckets are 5 gallons and will cover 225 sq ft.